“Small-scale organic agriculture is a niche” said Hans-Joachim Preuß, the managing director of GIZ, the largest development aid agency in Germany. Apparently, the future of development is large-scale industrial agriculture and big investment, according to the agenda of GIZ. “Smallscale organic agriculture won’t save the world”, said Hans Braun, director of the CGIAR Research Program on Wheat at CIMMYT, a research and training institution focused on wheat and maize. I wondered, what happened to sustainable agriculture? 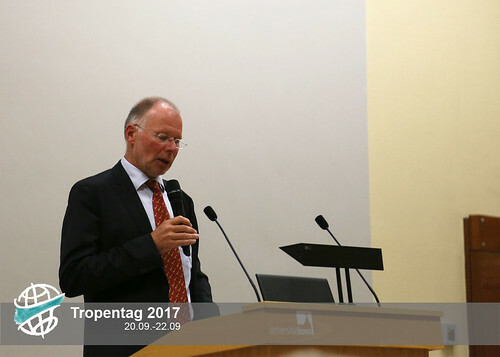 The excitement and expectations of the participants of Tropentag about this year’s theme “Future Agriculture: Social-ecological transitions and bio-cultural shifts” didn't flag and were mostly met throughout the week, at least until the last two keynote speakers. Braun suggested further intensification of grain cultivation, as well as greater collaboration with the GIZ. Braun’s statements were reinforced by Preuß, who said organic products were to “only" address a “niche market”. 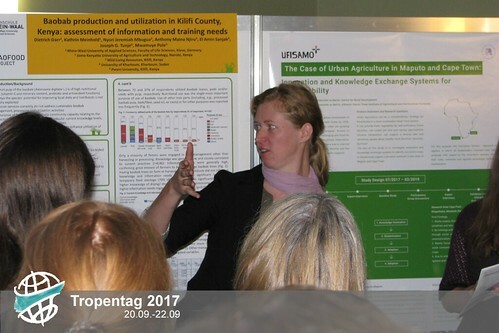 A guided tour through some of the poster presentations on the first day of Tropentag 2017. Give Farmers their Agency Back! Over the years there was a mystery I couldn't solve, how every apple, banana and broccoli could look exactly like the other? The answer is: centralized breeding. Unfortunately, farmers are left out of the selection, development, and maintenance of crop traits. Even if they are the producers of our local food, and should be the protagonist. The poster session on “Knowledge Systems” focused on educational and operative strategies with the ultimate goal of bringing food sovereignty to indigenous communities. Participatory breeding is an example of one that could strengthen local communities and provide independence from big seed and fertilizer companies. Wouldn't that be great? This would not only give small farmers more freedom, but would also banish GMOs from their plates. Two birds with one stone. In many countries, migration is a growing phenomenon because of political, economic and environmental reasons. In the last few decades, sudden or long-term changes in the environment are further exacerbating the often already precarious conditions in Sub-Saharan Africa, shaping the livelihoods of subsistence farmers in particular. This is shown by a study conducted in Ethiopia by Juliane Groth, from the Helmholtz Centre for Environmental Research (UFZ) during the "Institutions and Livelihood" oral presentation session . By analyzing the reasons that force rural people to migrate, Groth found that this phenomenon is strongly linked to land degradation and shifts in rainfall seasonality. These are the drivers of the decline in livestock quantity and agricultural production. As a result, farmers are looking for fast growing crop varieties that allow for cultivation in a shortened rainy season. Groth's study is evidence of the need for global intervention with programs to mitigate the impacts of climate change, especially by working with farmers to develop and introduce faster growing crops. 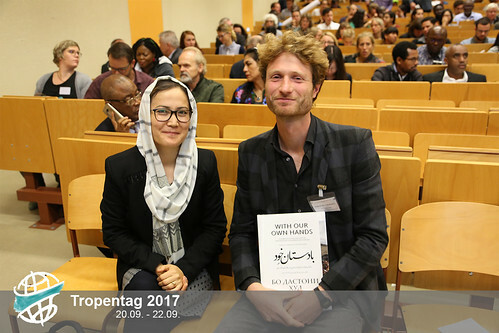 Instead of presenting another powerpoint, Frederik van Oudenhoven impressed the audience with his moving pictures - a movie about the villages of the Pamir Mountains in Afghanistan and Tajikistan. This vivid movie not only touched me, but the majority of the audience, measured by the loud and lasting applause afterwards. The Dutch film maker and biologist has devoted the last few years to understanding, preserving and publishing the traditional knowledge of people living in the isolated villages around the Afghan-Tajikistan border. Instead of focusing on the numbers of unemployed, undernourished and illiterate, he turned the camera to not only stunning landscapes but agricultural production, food processing, food culture and the people behind each stage. Further, he emphasized the beauty of diversity, whether it was biodiversity or cultural diversity. His film suggest with the loss of diversity we also lose beauty.